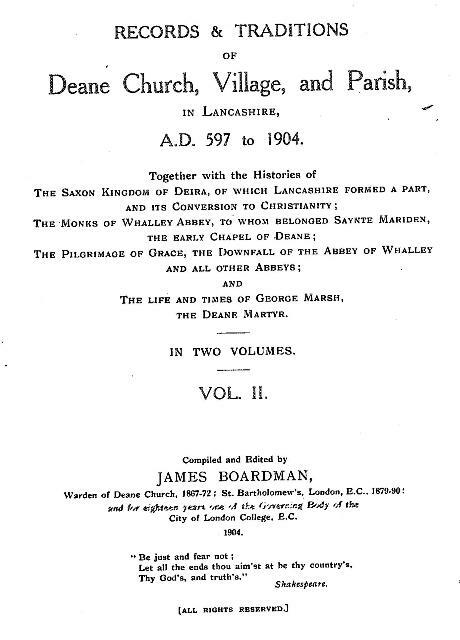 Records and Traditions of Deane Church, Village, and Parish in Lancashire, A.D. 597 to 1904. 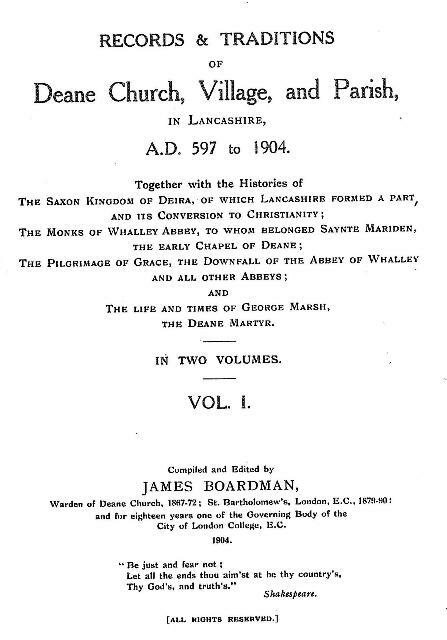 Mr James Boardman wrote about the history of Deane in 1904. So rich is the history that the book had to be spread over two volumes.